This summer I got invited on a trip by dineLA to cover Los Angeles Restaurant Week (which is actually more like 12 days - next one is Jan. 21-Feb. 1, 2013!) for Arizona Foothills Magazine. As such, I got the chance to experience some of LA's most impressive restaurants. Here are some of my favorite snapshots from the trip. Farmshop is a sweet little restaurant and market that's got some killer brunch options. 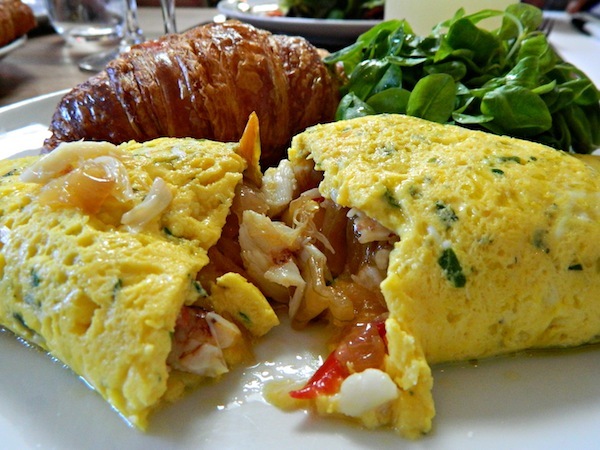 (Case in point: this photo of a delicious seafood omelet.) It's located in the Brentwood Country Mart, which I'm told is a favorite among Hollywood elite. But, alas, no star sightings during our visit. Just designer moms with their cute designer children and some business types. 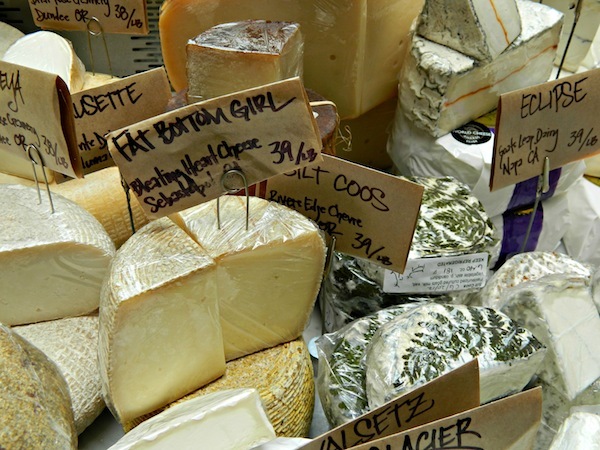 The cheese selection at Farmshop made me a happy girl. Prices definitely reflected Farmshop's target customer (Hollywood elite, remember), but I loved exploring the fun labels and flavors any way. 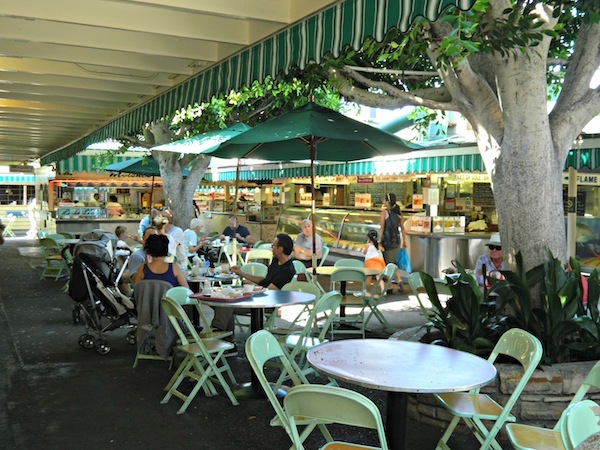 One of my favorite stops on our trip was the Original Farmer's Market on Fairfax. So many of the stands have been passed down through families for generations and the variety of shops here was insane. We're talking candy, fine French cuisine, Korean BBQ, old fashioned ice cream...whatever your heart desires. I could get lost in a place like this for hours. A must-try gem at the OG Farmer's Market is Short Cake. Ho-ly mo-ly, this place has a crazy selection of delicious handmade pastries. Quiche, muffins, cookies, scones - it's really endless. And they come in both sweet and savory options. 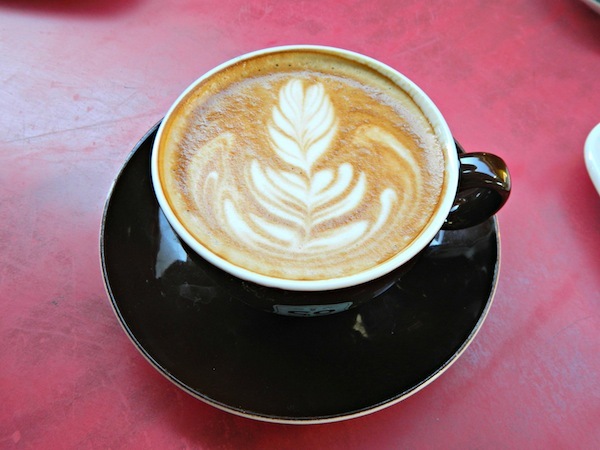 Even the plain ol' iced coffee is delicious, but espresso drinks always come with some flair. 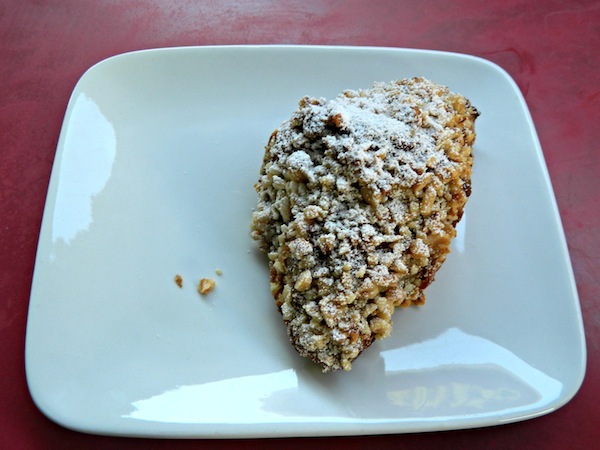 Sweet, crunchy deliciousness at Short Cake. Saddle Peak Lodge in Calabasas had a little too much protein on its menu (and its walls) for my taste, but it's a great spot nonetheless. There's a tree-lined outdoor patio that's perfect for special occasions - and free of taxidermy - with some fantastic views of the area. 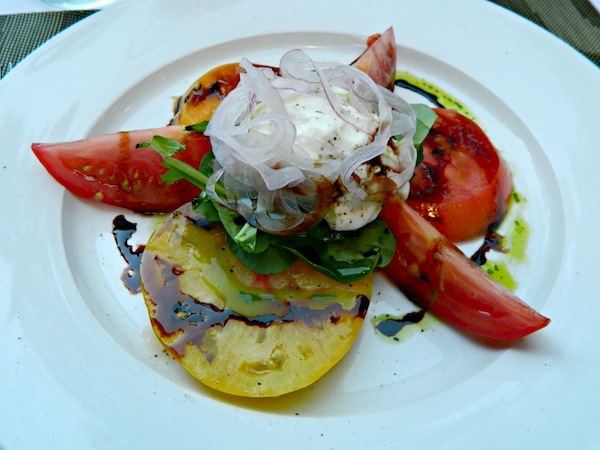 The food was really fresh and beautifully presented. And I did love my main course, which was a tasty Ahi tuna steak. People. Listen up. 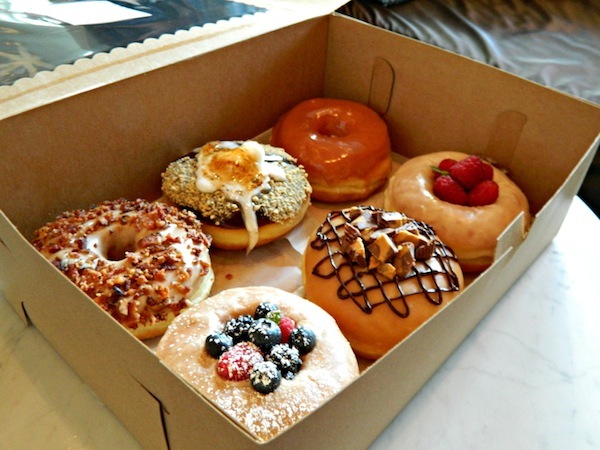 If you indulge in just one guilty pleasure on your next trip to Los Angeles, let Donut Snob be it. Just when I thought I couldn't take anymore sugary pastry goodness, these darlings showed up. Yeah, that's a Reese's Peanut Butter donut you see there.